Author C.S. 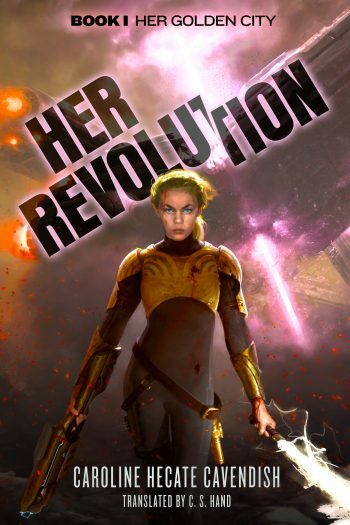 Hand is unveiling the cover to HER REVOLUTION, the first book in his young adult dystopian series, Her Golden City, releasing August 8, 2018. See below for the cover, information on the book, a link to add it to your Goodreads TBR, and details on his giveaway. For fans of Divergent, Red Rising, and The Hunger Games comes a gripping new tale of ambition, treachery, and love. When what appears as a prank on arrogant ambassadors at an exotic vacation city turns out to be the first tremors of a revolution, the Enlightened Council of Castillia turns to its 11-year old undefeated military prodigy and her loyal Guardians for help. After all, it was Innocence who liberated the Jewel of All Cities in the first place. Everyone knows she will be the last to let it slip from her grasp. But why would anyone want to leave Castillia? Its laws are just. Its Council is democratically elected. It has liberated more cities than any other Republic, past or present. But Castillia has enemies, that’s for sure. Sedition is the favorite trick of the southern Republic Ausonia. In fact, the exotic vacation city used to belong to Ausonia—and they have always wanted it back. But could those hedonists really organize anything between all their dancing and drinking? Or has Vesper, the mighty Republic to the North finally woken from its slumber? It has plenty of old scores to settle with Castillia and it’s palm-lined streets. Squashing the uprising and re-uniting the town and her city could be the perfect way to end the most legendary military career Castillia has ever known and begin a new, exhilarating life as a prominent politician. But it also might just be the perfect way to start what Innocence has secretly always yearned for: her own Empire. 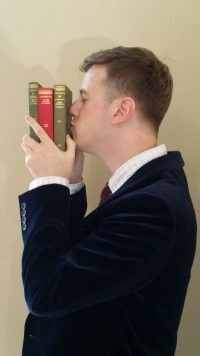 C. S. Hand loves philosophy, literature, and science-fiction and fantasy books. He studied British Romanticism at Cambridge before leaving to translate great science-fiction and fantasy books. You can read more about his 3 great loves here.